This is the awesome bag we got to tote library books around in! ￼The kickoff events started last week with the Summer sampler event at the downtown library. There were crafts, robots, a mini mystery, and lots and lots of kids and books! This morning at 10:30am, Perry Creek branch library kicked off their summer with a fun event featuring the Tumblebus and a planting theme. The kickoff event for the Morningside branch library is tomorrow from 10am to noon and will include some of the amazing trucks and other vehicles that keep Sioux City moving and building! If you haven't had a chance to attend one of the two that happened so far, I definitely encourage you to attend the one in Morningside tomorrow! 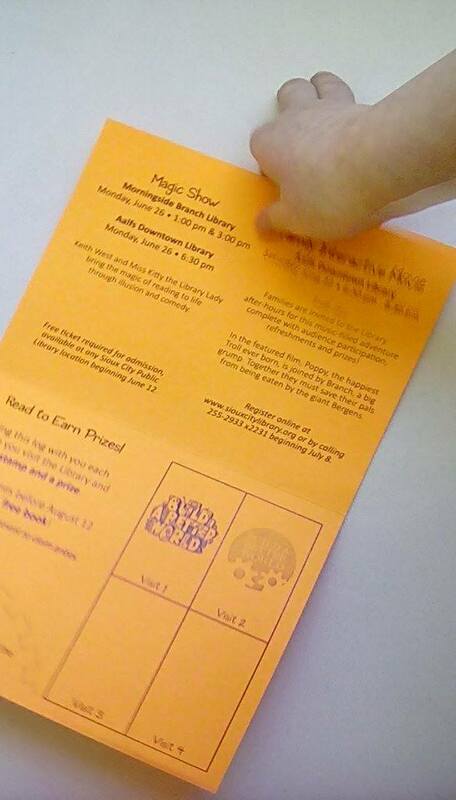 3 magic shows with Keith West and Miss Kitty on Monday June 26th: at Morningside at 1 & 3pm and at the downtown library at 6:30pm. Tickets are required to attend, but tickets are free and are available at the library. The Zoomobile from the Great Plains Zoo will be at the Morningside Branch Library on June 14th at 1:30 and 3pm. Free tickets are required for this event as well. And for teens, a murder mystery on June 23rd from 6:30-8:30pm for 6th-10th graders is sure to provide unique entertainment on a hot summer night! No tickets required for this one, but the library does request interested teens register online, by phone, or in person so they know how many to expect. Be sure to check our monthly event lists and the library website for the full list of events--the ones that caught my eye may not be the ones that catch yours! 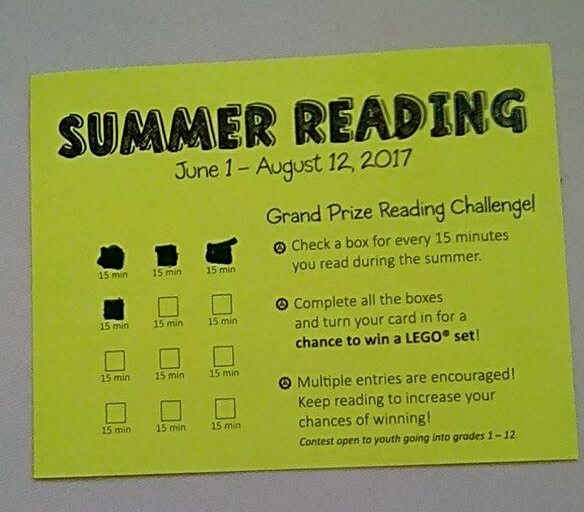 There are two ways for kids to win prizes from the library this summer. 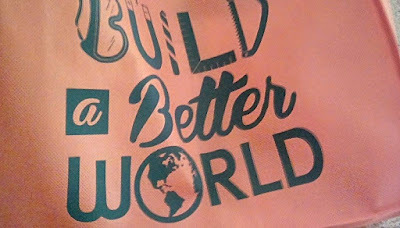 The first time kids visit the library this summer, they get a reading log and the choice of a plastic book tote or a fabric book tote to share as a family. We chose the family bag! After that, kids get a stamp each time they visit the library, and the second and third visit, they get to choose from a prize basket which includes toy tools that look a lot like bath squirters, rubber duckies, construction people, Lego style building bricks, or gift certificates for ice cream treats at Culver's, A&W, or Chick fil A. Teens also get a bag on the first visit, and on the second visit get to choose from a teen friendly prize basket with earbuds etc and on their third visit, get a free movie ticket to check out a new movie at the Promenade theater! ￼All child and teen participants win a free book on their fourth visit to the library this summer. They have books appropriate for boys and girls preschool through teenagers so there is sure to be something eye catching for all the young readers in your life. Kids and teens can also enter to win a new Lego set! The Lego drawing is open to kids who are entering 1st through 12th grade this fall. To enter, kids check off boxes for every 15 minutes they read. 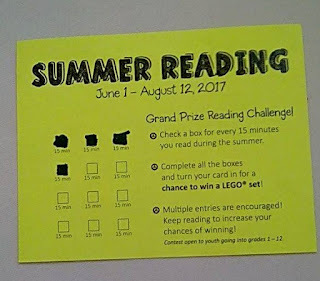 Once they have 12 boxes (3 hours) of reading time completed, they can turn in their entry card and get a new one and receive basically unlimited entries all summer. My son was so excited about this one that he asked to borrow my kitchen timer for the whole summer so he can keep track of his minutes! 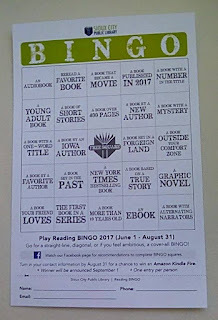 Adults can participate in the library's summer reading bingo! 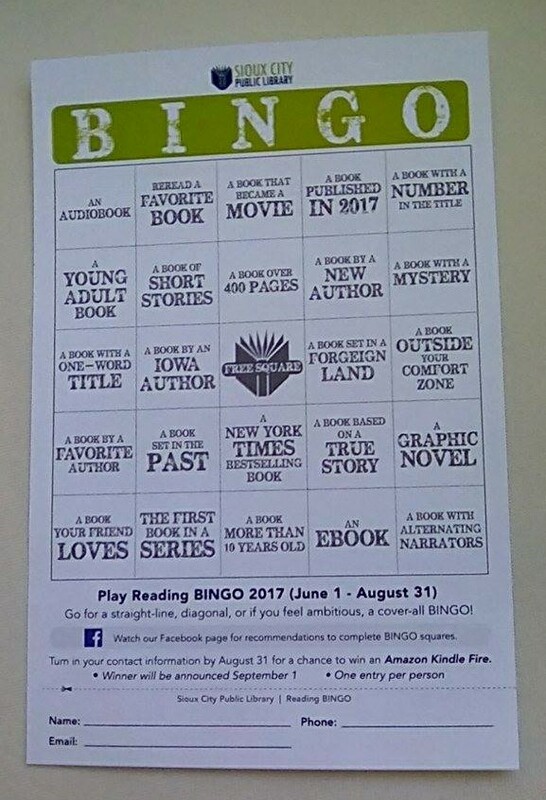 Fill squares by doing things like reading books published in 2017, with more than 400 words and by an Iowa author, and once you get Bingo you can turn it in! One winner will receive an Amazon Kindle Fire Tablet as their prize. I have one myself and love it, so this is definitely a prize worth picking up a bingo card and a few books to try to win! Unlike the kids however, we do not get unlimited entries--just one per person. So take your time and maybe go for blackout!